When you sign up for a Bubbly Grape Tour they ask if there are any wineries you’d like to visit, there may also be some flexibility on the day, so the summary below just gives an idea of where you could go. The Marlborough Wine Trail Map has a map of all cellar doors in Blenheim. Given we were on an organised tour, every winery we visited had a table set up for us with glasses and tasting notes. Knowledgeable and friendly staff took us through the generous tastings on what turned out to be an excellent day out in Blenheim. 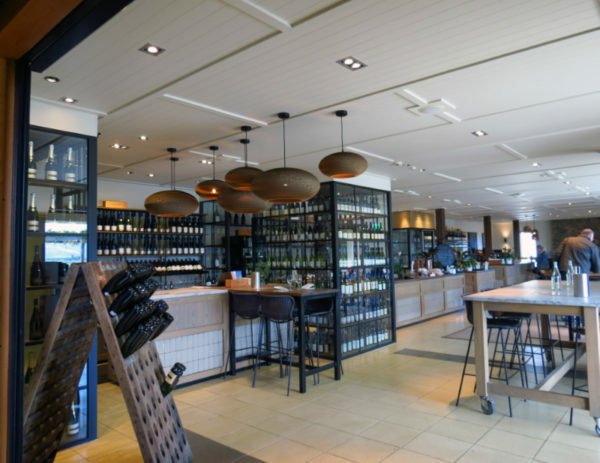 The smart cellar door / dining room at Wither Hills was our first stop and Eliza took our group of six through a tasting of sauvignon blanc, chardonnay (x2) and pinot noir (x2). The words ‘mussel flavour’ were used to describe the Rarangi Sauvignon Blanc 2016, I almost clapped my hands, I got it, I tasted mussel. It’s not often I nod enthusiastically at a wine tasting, unfortunately this time turned out to be no different as I remembered I’d had mussels for dinner the night before, my taste buds were probably remembering them. Wine fact 1: If you’re a chardonnay drinker and like a good value bottle of wine, the Wither Hills 2017 Chardonnay won gold for best chardonnay and best white wine at the New World Wine Awards this year, it costs less than $15 a bottle. One of our group had an interest in organic wineries so Rock Ferry was added to the itinerary. If you like wineries that let nature take its course where possible then Rock Ferry will appeal, they utilise companion planting and all of their grapes are handpicked. Raj took us through a tasting of some new (to us) wines like the Corners Vineyard Marlborough Gruner Veltliner 2016 and Marlborough Botrytised Riesling 2014. Botrytised means the grapes were effected by the botrytis fungus which makes the wine very sweet, and to me, very delicious. 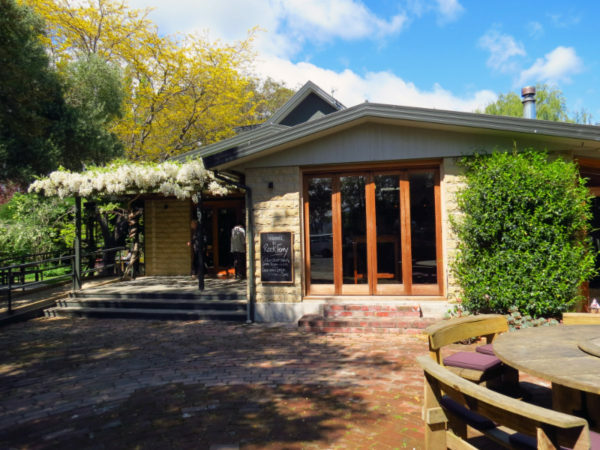 Wine fact 2: There are a small group of organic wineries in Blenheim including Rock Ferry that have banded together to create MANA – Marlborough Natural Winegrowers. 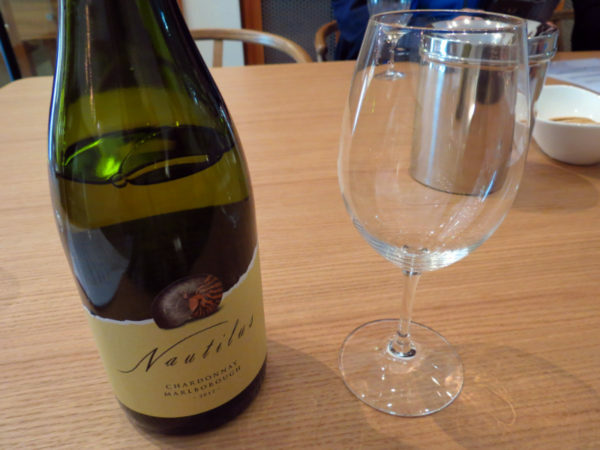 Juanita took us through a tasting at Nautilus Estate which included the Nautilus Chardonnay 2017 and The Paper Nautilus Sauvignon Blanc 2016. 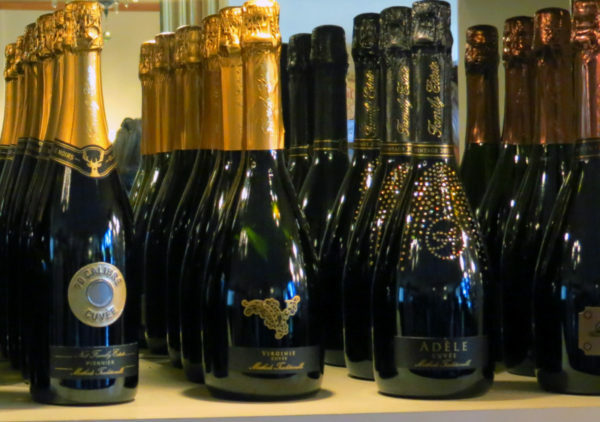 Seventy five per cent of the winery’s production is sauvignon blanc but they are also known for their pinot noir, and cuvee brut (pinot noir and chardonnay blend). 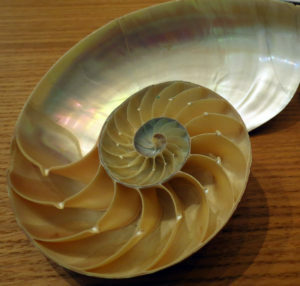 The winery is named after, and inspired by, the nautilus. The cellar door displays a collection of shells including the spiral chambered nautilus and the delicate paper nautilus. Random trivia 3: Our visit to Nautilus Estate meant we recognised a paper nautilus washed up on the shore at White Island near Whakatane (the photo of the paper nautilus is near the bottom of the post). It was our second visit to Brancott Estate and they are still generous with their tastings. 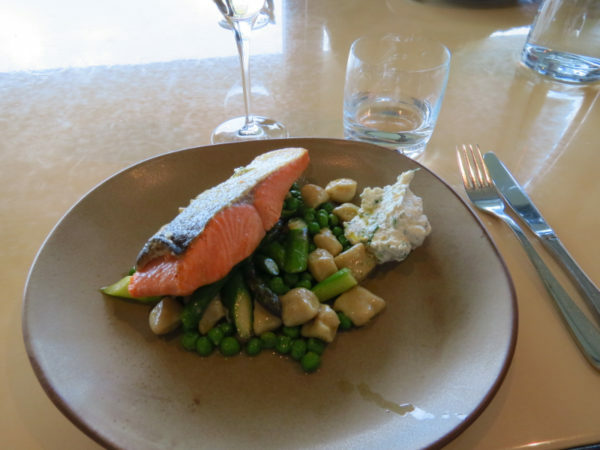 The restaurant was our lunch stop and we enjoyed a very nice three course lunch including Mt Cook salmon, and chocolate ganache for dessert. A glass of wine was included with lunch and it was an easy choice for me – Chardonnay Pinot Noir Brut Cuvee. Wine fact 4: Brancott Estate use ‘woolly workers’ aka sheep to eat the leaves from the pinot noir vines to help expose the grapes to much needed sunlight before harvest. 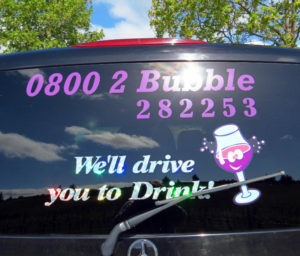 Sparkling wine, that’s why you’d apply the brakes outside No1 Family Estate. Wine maker Daniel Le Brun learned his craft from his father in Champagne and comes from a long line of champagne makers. The family involvement continues in Marlborough and both of Daniel’s children are brand ambassadors for No1 Family Estate and his wife is responsible for marketing and business development. Wine fact 5: If you’d like a classic car to match your classy sparkling wine, check out Highlight Wine Tours, their stable includes a 1967 Mustang convertible and 1957 Chevy Bel Air. 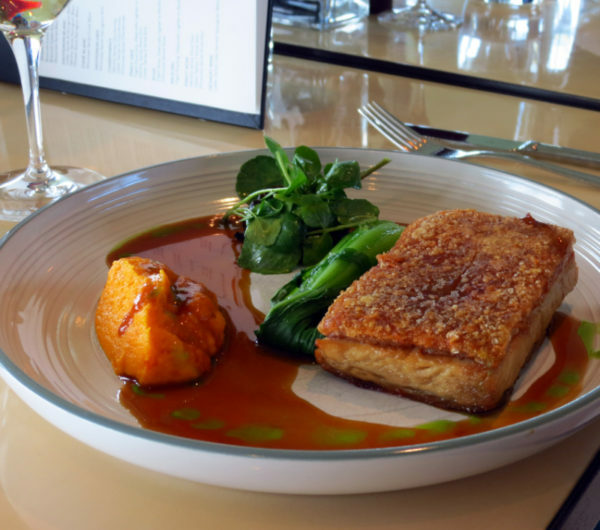 After a taste of sauvignon blanc at Whitehaven cellar door I had to call time, a filling lunch and lots of tastings throughout the day meant I had reached my limit. 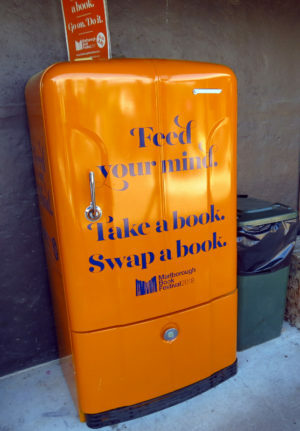 It couldn’t have happened at a better place though as The Vines Village has a few stores to wander around, and a book fridge, I will never call time on books. Wine fact 6: The anchor emblem on Whitehaven wine bottles represents the dropping of anchor in Marlborough Sounds by the owners who then went on to launch Whitehaven wines in 1994. PS. 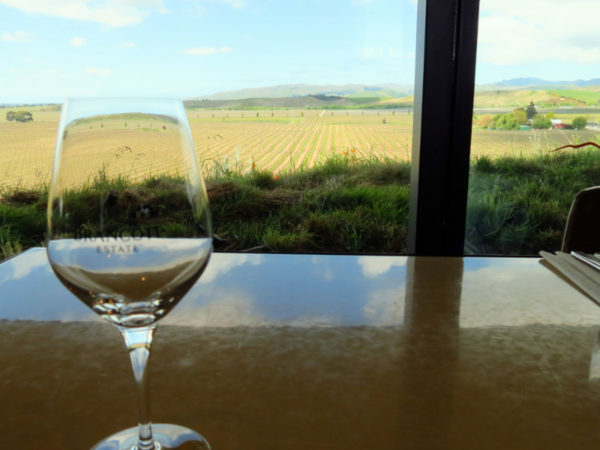 We had one day in Blenheim so decided an organised wine tour rather than a self drive tour would make the best use of our time, and it did. We also liked the group aspect of the tour and enjoyed the company of an Australian and Canadian couple. I was surprised to learn from the Canadians that there is such a thing as Icewine which is made of grapes harvested frozen from the vine.